I decided to take advantage of my ability to be spontaneous this spring break and just get in the car and drive south by myself. I have an iPhone, and fairly new vehicle, and On-Star. I'll be fine, right? Well, I forgot to take into account EVERYONE travels I-75S, and as I did not have a reservation, it took me three towns and five hotels (and one near nervous breakdown) before I found a vacancy late Friday night... In a Super 8... In a smoking room. Not the greatest accommodations. However the sheets were clean (I ignored the cigarette burn in the blanket) and the bathroom was clean (the shampoo was in what appeared to be large ketchup packets... I guess Super 8 doesn't trust me with a tiny bottle), and I got a fairly decent night's sleep (until at 5am I started to hear everyone filling their coolers with ice from the machine right outside my door). But I made it out alive. 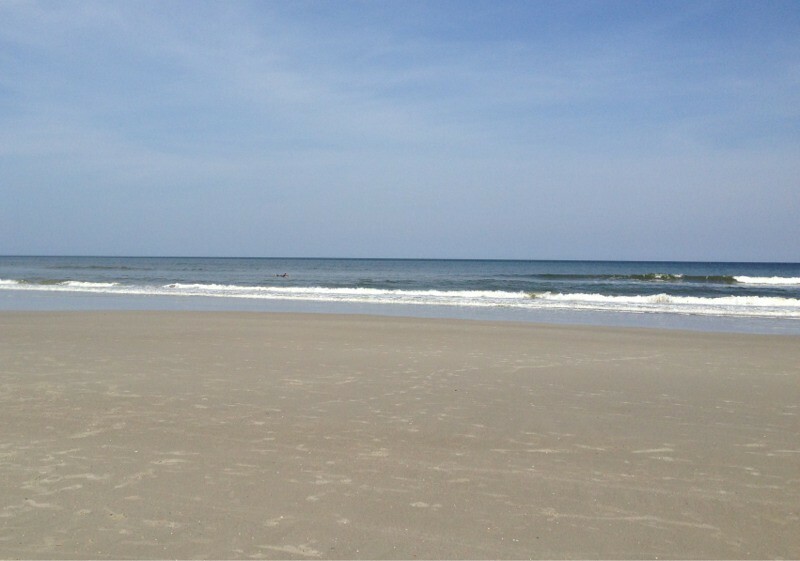 When I finally got Jacksonville (around two hours later than I'd planned thanks to two days worth of traffic), I was exhausted but I decided that if I needed a nap I might as well take one on the beach. So I checked into hotel, grabbed my beach stuff, and headed back out. After the 15 minute drive to the beach I started to look for parking. On a beautiful Saturday afternoon this is not an easy task. After driving around for 30 minutes I finally found a space. I parked the car, grabbed my stuff, and headed towards the water. As soon as I saw the ocean, I had to stop and take this picture and post it online with the simple caption "Worth it." This morning, I drove back to that same spot to have my own personal Easter Sunrise Service. 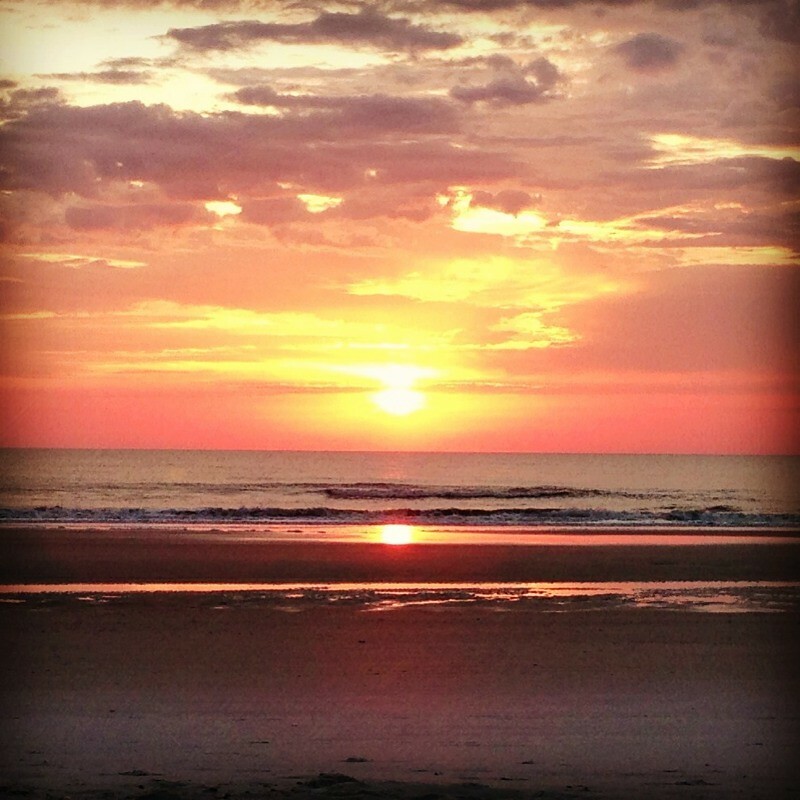 As I sat there watching the sun peek over the ocean, I was overwhelmed with gratitude. Gratitude for answered prayers, for unanswered prayers, for times when God has given me what I want, and more importantly, for Him giving me what he knows I need. And this time as I looked at the ocean, I was struck by my caption yesterday, and I can't help but hope, after all Jesus went through, that sometimes He looks at us and simply says "Worth it."